Interior of the Indian restaurant Maharaja in Moscow. During the two and a half decades of the post-Soviet era, the number of Indian restaurants and cafes in Moscow has increased enormously. Looks like the Indian food is occupying its rightful place in the culinary preferences of Russians. Russian frequenters of restaurants and cafes no longer perceive it as something exotic. And willingly expand their knowledge of the most popular Indian dishes in the specialty restaurants of the Russian capital. During the two and a half decades of the post-Soviet era, the number of Indian restaurants and cafes has increased enormously. From just a few of them, and you could count them on the fingers of one hand in those days, to the current 62! And this is by no means the limit, says Sammy Kotwani, President of the Indian Business Alliance (IBA) in Moscow. Having lived for several decades in Russia, he is full of praise for the Russian cuisine and often orders for dinner Russian soup Shchii and Ukrainian Borsch. "But when I want to talk with the Russian colleagues, or with my guests coming to Moscow from other countries, then surely I invite them to one of the local Indian restaurants and treat them to the unique Indian cuisine," says Sammy Kotwani in a chat with the correspondent of "Sputnik". "It can be "Jai Hind" with interior like the palace of a Maharaja," — continues the President of the IBA. "There, among other things, curious visitors can also watch the process of cooking. Or, it could be the Restaurant "Khajuraho", which is slightly smaller in size, but has managed to create a surprisingly warm, family atmosphere of the Indian home." Almost all Indian restaurants in Moscow have an extremely wide variety of dishes to choose from. Chefs of most frequently visited Indian restaurants in the Russian capital, in addition to the ones already mentioned (others include 'Darbars', 'Tibet Himalaya »," Nabi ", the chain of vegetarian cafes " Jagannath ","Gandhara ") mention samosas, Chicken masala, rice biryani, Basmati rice with curry, Aloo Matar Gobi (potatoes, cauliflower, peas) among the dishes most popular among Russians. And, of course, the leavened bread called chapatis. Most certainly, the preferred beverage is Lassi. And among the sweets you could name Barfi, Rasgulla, Gulab Jamun, and Jalebi Muscovites generously share their impressions online after visiting Indian restaurants and cafes. It is noteworthy that the greatest number of rave reviews in the social networks is reserved for a cafe located not somewhere in the prestigious central area of the capital, but on its south-western outskirts. This is the "Devi Café" whose director and owner Naresh (Jr.) says that the cafe was created in the mid-1990s by his father Naresh (Sr.) for international students of the Peoples' Friendship University located in that neighborhood. Traditionally, there are many students from India in this university. The cooks are also invited from India. (By the way, all the Indian restaurants in Moscow have only Indian chefs). And very soon, the café became so popular not only among students, but also among the residents of the neighborhood. Moreover, they receive plenty of orders from different parts of the capital. We use only Indian spices and seasonings, says Naresh (Jr.), and many vegetables, chicken, etc., are acquired from permanent Russian suppliers. "And we cook like for ourselves, for our own family." Sammy Kotwani admitted that if he wants to feed his guests with heaps of delicious homemade Indian food, he takes them to "Devi Café". Chefs of other metropolitan Indian restaurants also do not complain about lack of visitors. Although they acknowledge that their number has slightly decreased during the current crisis. And who knows, maybe the Russians will change their passion for peculiarly fashionable "sushi bars," and the numbers visiting such bars are definitely on the decline due to recession. And then the interest will clearly shift towards the unique Indian cuisine satisfying the most demanding palates. 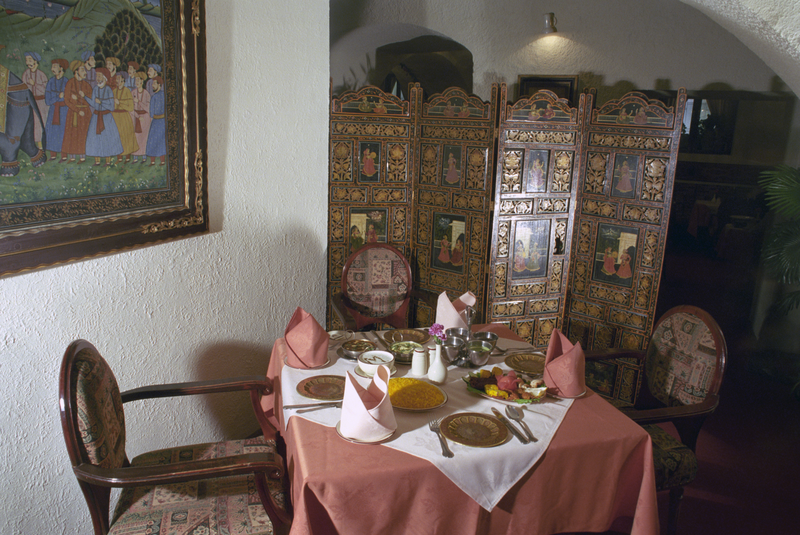 Besides Moscow, Indian restaurants have been opened and are very popular in St. Petersburg, Ryazan and Nizhny Novgorod.